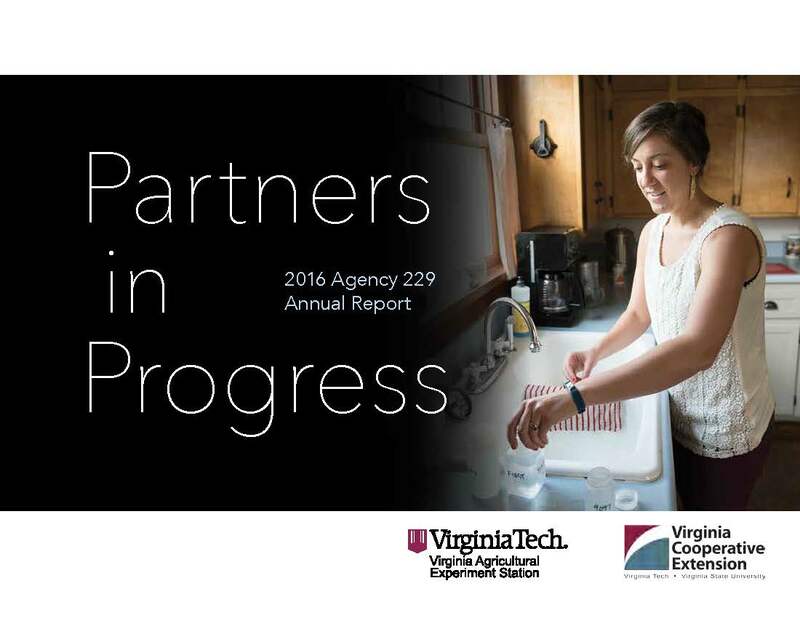 The Agricultural Research and Extension Centers are a network of 11 research centers located throughout the state that emphasize the close working relationship between the Virginia Agricultural Experiment Station and Virginia Cooperative Extension. “Inside the ARECs” highlights the work and accomplishments of these 11 centers and will appear in every Insights. On Sept. 21, the Hampton Roads Agricultural Research and Extension Center partnered with Buy Fresh Buy Local Hampton Roads to host the fourth annual “Farm to Fork” local food celebration. Buy Fresh Buy Local is a grassroots organization dedicated to connecting consumers to locally grown foods and products. Fourteen of the area’s best chefs each worked with a local producer to create tasting dishes using fresh, seasonal ingredients from the farms and waters of Hampton Roads. Some of the highlights were Terrapin Restaurant’s black pepper cantaloupe sorbet, made with Mattawoman Creek Farm melons, and pulled pork supplied by Rainbow’s End Farm and prepared by Country Boys BBQ. “ ‘Farm to Fork’ is a terrific way for the Hampton Roads AREC to support local farmers and watermen and to additionally expose a non-agriculture audience to agricultural research and Virginia Tech and Virginia Cooperative Extension programs,” says Peter Schultz, director of the Hampton Roads AREC. In addition to experiencing the gastronomic bounty of the area, there was a live animal exhibit by Gum Tree Farms, and musical stylings by a local band. 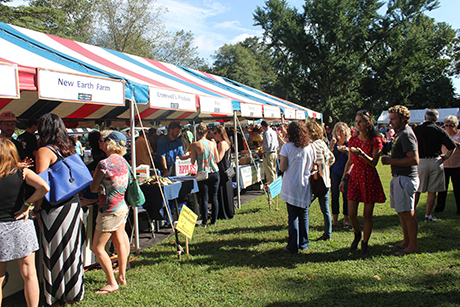 “This is a wonderful and exciting event that brings together a community of people to experience and celebrate the wonderful local food found in Hampton Roads,” said Buy Fresh Buy Local Director Kirsten Halverson. This entry was posted in Past Issues and tagged AREC, Events, Inside the ARECs. Bookmark the permalink.